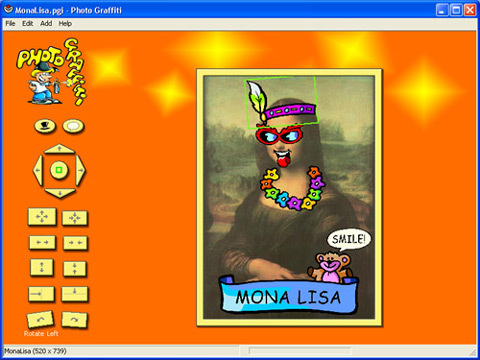 Photo Graffiti can quickly and easily create comic greetings and celebration cards out of your digital images and photos. 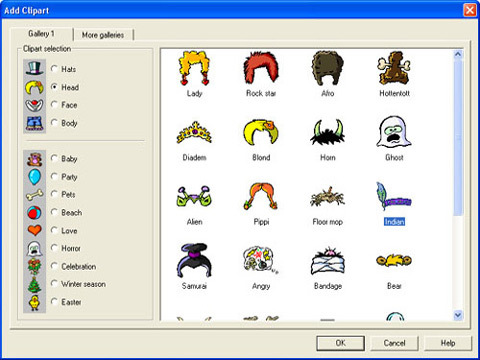 Hundreds of cartoonish graffiti clipart and text bubbles are available for you to make fun of your pictured friends. The result can be as funny as your imagination allows! Click the editing buttons to make the graffiti perfectly fit in both dimensions and orientation on top of your photos. When done, simply send your creations by e-mail directly from the program in the right size and file-format. Correct red eyes or a bad smile with some graffiti stickers! 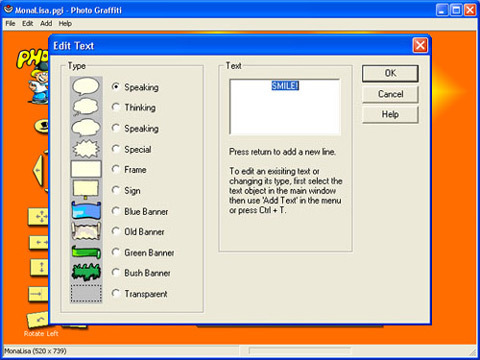 Clipart gallery - Pick graffiti clipart from the categories. Text bubbles - Select a bubble or banner for the text.